The Peacock network revealed its 2014 all lineup earlier today. The second season premiere of NBC’s “The Blacklist” debuts Mon., Set 22 following the season premiere of “The Voice.” “The Voice” later moves to its regular time slot on Tues., Oct 14. Meanwhile, new series “Constantine” doesn’t bow out until October 24, following “Grimm” season debut. Check out the premiere dates below. ‘Bones’ Likely to be Renewed For a Tenth Season, Netflix Renews ‘Lilyhammer’ And More! FO X’s crime procedural “Bones” is likely to be renewed for a tenth season, Fox chairman Kevin Reilly said at the Television Critics Association press tour. “We’re negotiating on “Bones” for another season I anticipate it will be back,” Reilly said. Joseph Gordon-Levitt’s variety show, “HITRECORD On TV” has been renewed for a second season ahead of the series debut. HBO has released a trailer of ‘Game of Thrones’ forthcoming fourth season. Before the season premiere read all about the new characters here. Netflix renews “Lilyhammer” for a third season. Jack Bauer’s “24 Live Another Day” premieres May 5 on FOX. If you can’t wait for the show, get some spoilers here. Meanwhile, Nicole Ari Parker has been booked in a recurring role as a “bright” Secretary Justine Allenford, according to Deadline. “Revolution” returns Wed., Sept. 25 at 8/7c. The Peacock network is the second network to unveil its fall schedule. 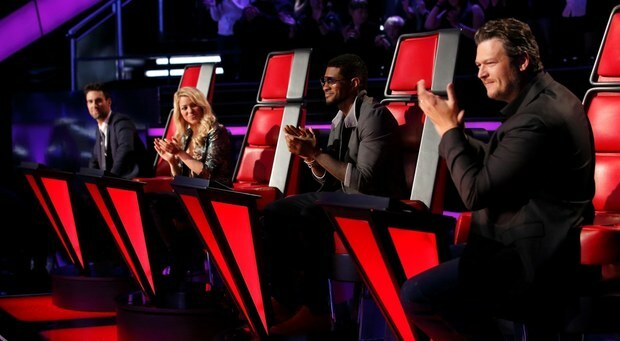 “The Voice’ returns with the original coaches: Adam Levine, Christina Aguilera, Cee-Lo Green and Blake Shelton on September 23, followed by the series debut of NBC new series “The Blacklist,” which stars James Spader. Post-apocalyptic series “Revolution” moves to a new night and time beginning Wednesday, Sept. 25. 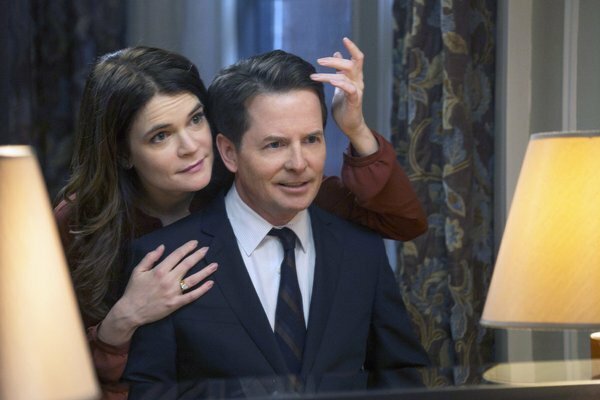 And “Parenthood” forthcoming is set to debut Thurs., Sept 26 at 10/9 p.m.
“Go On” is staging a “Studio 60” reunion. Bradley Whitford will appear in an upcoming episode of “Go On.” Matthew Perry announced the casting, Wednesday via Twitter. “Working with Bradley Whitford again is so much fun. I mean, I wish we weren’t in a hot tub together, but you can’t ask for everything,” Perry tweeted. John Stamos and Mark Consuelos are joining “The New Normal.” Stamos is playing a co-worker of Jane, who finds his sexuality being questioned by the foul-mouthed grandma. While, Consuelos will appear as a grip on the “Glee”-style show created by Andrew Rannells’ character, and will find himself as the object of Rocky’s affections. [EW]. According to TV Guide, Williams will play Benny Severide, the father of Lt. Severide (Taylor Kinney). Benny is described as a “tough guy who also used to work as a fireman.” Williams has been cast to appear in multiple episodes. “Chicago Fire” airs Wednesdays on NBC. “Chicago Fire” has been picked up for a full season. The peacock has ordered a full of the new drama series “Chicago Fire,” NBC announced Thursday. “Chicago Fire” which stars Jesse Spencer, Taylor Kinney and Eamonn Walker has been averaging a 2.4 rating, 7 share in adults 18-49 and 8.0 million viewers overall, according to NBC. “Chicago Fire” airs Wednesdays on Nbc at 10/9c. “Fairly Legal” has been cancelled. USA network has dropped the series after two seasons. Shahi has booked a multi-episode arc on “Chicago Fire as Renee, Taylor Kinney’s Lt. Kelly Severide’s love interest. Fellow USA’s drama ‘Common Law” has also been cancelled. NBC’s “Revolution” cast “Taken” and “Sons of Anarchy” actors. 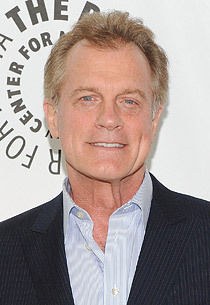 Meanwhile, “Sons of Anarchy” actor Patrick St. Esprit, will play a tough rebel leader, named Wayne Ramsey, EW reports. Both actors are join the series in possible recurring roles. “Revolution” airs Mondays, at 10 p.m. on NBC. According to TVLine, “Ringer” alum will star as FBI agent Nick Donovan, who is brought in to supervise Joe Carroll’s (played by James Purefoy) case and Agent Hardy. Kole will play a loyal servant of Joe Carroll, named Roderick. ‘The Following’ will premiere Mon., Jan. 21 at 9/8c p.m.